Ruta Kuzmickas, 19, was born to Lithuanian parents in Park City, Utah. Shortly afterwards, her family moved to Las Vegas, where she began her piano studies at age 6. Since moving to Portland in 2008, Ruta has been an active performer in various musical settings spanning from solo recitals to chamber and new music concerts. She attended the Aspen Music Festival and School as a student of renowned pianist Ann Schein for two summers (2012 and 2013). Ruta has performed in masterclasses for esteemed pianists Arnaldo Cohen, Simone Dinnerstein, Hans Boepple, Kirill Gerstein, Nelita True, Jeffrey Kahane, Gianluca Luisi, Craig Sheppard, John Perry, and most recently, Emanuel Ax. Ruta received a scholarship from the Chopin Foundation of the United States in 2011 and appeared as a soloist and Jack Kent Cooke Young Artist Award recipient on NPR's From the Top. Ruta was named first place winner of the MTNA State Senior Division in 2012 and is now a two-time winner of the MetroArts Van Buren Concerto Competition, having performed as a concerto soloist in both 2009 and 2013. In addition, she has been recognized as a National YoungArts Foundation Winner for two consecutive years. 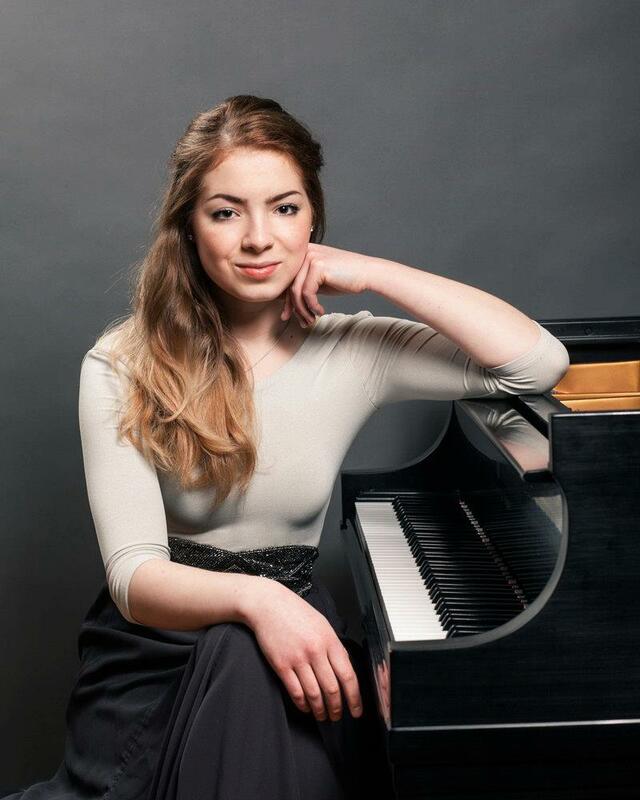 This past summer, Ruta was a finalist in the Jacob Flier International Piano Competition in New Paltz, NY, and later won Grand Prix in the D category of festival-competition "Music Without Limits" in Druskininkai, Lithuania. Among her wide-spanning interests, she loves film, literature, and visual art. Ruta currently studies with Dr. Robert Roux as an undergraduate at Rice University's Shepherd School of Music in Houston, Texas.